The RMS Carpathia, the British passenger liner that was best known for rescuing survivors from the ship Titanic in 1912. The Carpathia was in service from 1903 to 1918, when it was sunk by a German U-boat. The Carpathia was built by Swan and Hunter for the Cunard Line. Construction of the vessel began on September 10, 1901, with the laying of the keel. Following completion of the hull and main superstructure, the ship was launched on August 6, 1902. When finished the next year, the ship measured 558 feet (170 metres) in length and had a gross tonnage of more than 13,500. It could carry approximately 1,700 passengers. 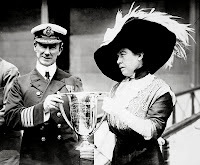 On May 5, 1903, the Carpathia embarked on its maiden voyage, sailing from Liverpool, England, to New York City. 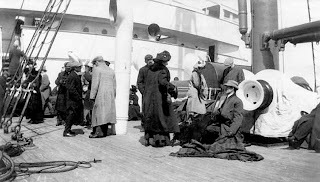 Although not as opulent as other passenger liners -it initially had no first-class accommodations- the ship became popular with both tourists and emigrants. 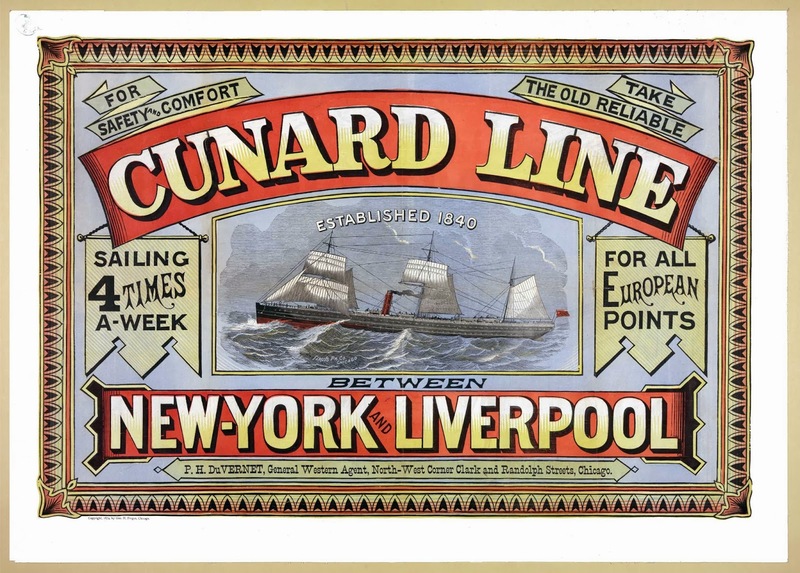 During the summer season the Carpathia operated mainly between Liverpool and New York City, and in the winter it travelled from New York City to Trieste, Italy, and Fiume, Austria-Hungary (now Rijeka, Croatia). In 1905 the Carpathia underwent major renovations, increasing its capacity to 2,550 passengers and creating accommodations for first-class travellers. 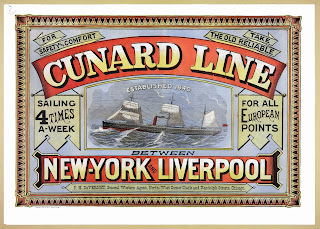 Several years later its service was largely limited to voyages between New York and Mediterranean cities. Titanic survivors aboard the Carpathia, April 1912. 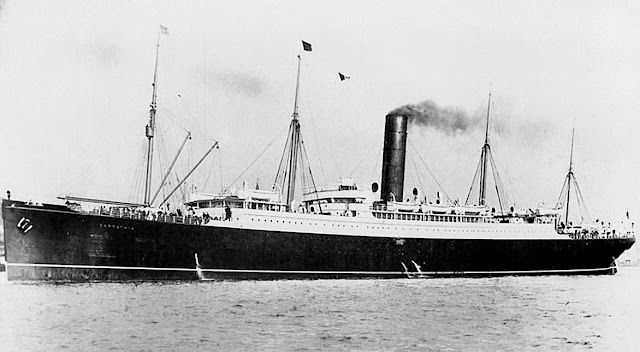 On April 11, 1912, the Carpathia departed from New York City for Fiume, carrying some 740 passengers. On April 15 at approximately 12:20 am, the ship received a distress call from the Titanic, which had struck an iceberg and was sinking. Capt. Arthur Henry Rostron ordered the Carpathia to the Titanic’s position, which was about 58 miles (107 km) away, and began preparing the ship for any survivors. Despite the presence of icebergs, the ship travelled at top speed (some 17 knots), arriving at approximately 3:30 am. The Titanic had sunk more than an hour earlier, but the Carpathia rescued 705 people in lifeboats. The ship returned to New York City on April 18. The actions of Rostron and the Carpathia’s crew were credited with preventing further loss of life, and Rostron was awarded a U.S. Congressional Gold Medal. During World War I the Carpathia transported Allied troops and supplies. On 17 July 1918 the Carpathia was travelling in a convoy, bound for Boston, when she was struck by two torpedoes some 120 miles west of Fastnet. A third torpedo hit the ship as the lifeboats were being manned. Five of the crew were killed by the explosions. 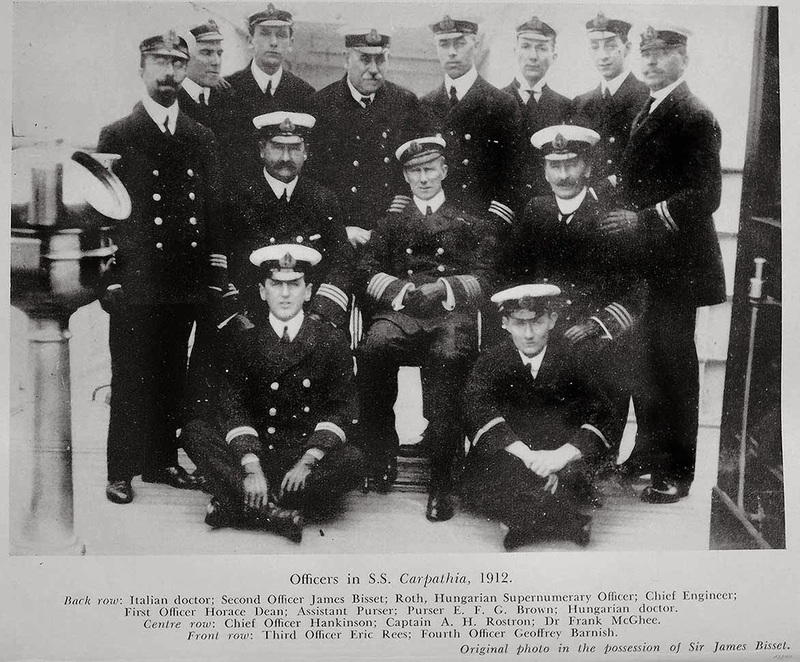 The remainder of the crew and the 57 passengers on board were picked up by H.M.S. Snowdrop and safely brought to Liverpool. The Carpathia sank at 12.40am that day. In 1999 the wreck of the Carpathia was discovered intact and lying upright at a depth of more than 500 feet (152 metres).